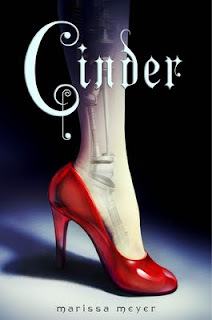 In this thrilling debut young adult novel, the first of a quartet, Marissa Meyer introduces readers to an unforgettable heroine and a masterfully crafted new world that’s enthralling. Yo, I am a sucka for robots. I don't know why, but if you put the word "cyborg" in the description of anything....I go bananas! I am really looking forward to this book. The cover? Interesting to say the least and, for me, it has a more adult feel to it. I am happy that there is not a face on the cover - this one is pretty original.